Thanks to David Watson again for passing this well interesting book onto us at LIYL. This is a great read, it’s old as hell so I’m sure it wouldn’t cost too much second-hand. 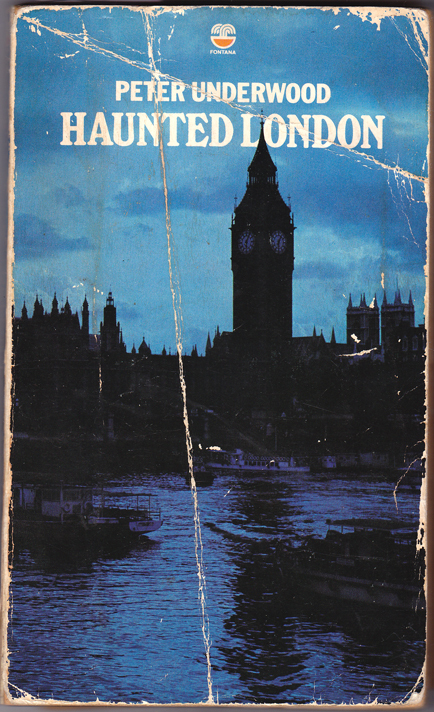 This has about 4 pages on the Covent Garden ghost, William Terris and includes lots of others including the Man in Grey of Drury Lane, weird goings on at the Elephant and Castle tube station and a bit about the hauntings on Kings on the Rye (formerly The Kings Arms), Peckham which our good mate Marc told us about a long while ago. Worth getting hold of! P.
We’ll be going to review this place after half term. 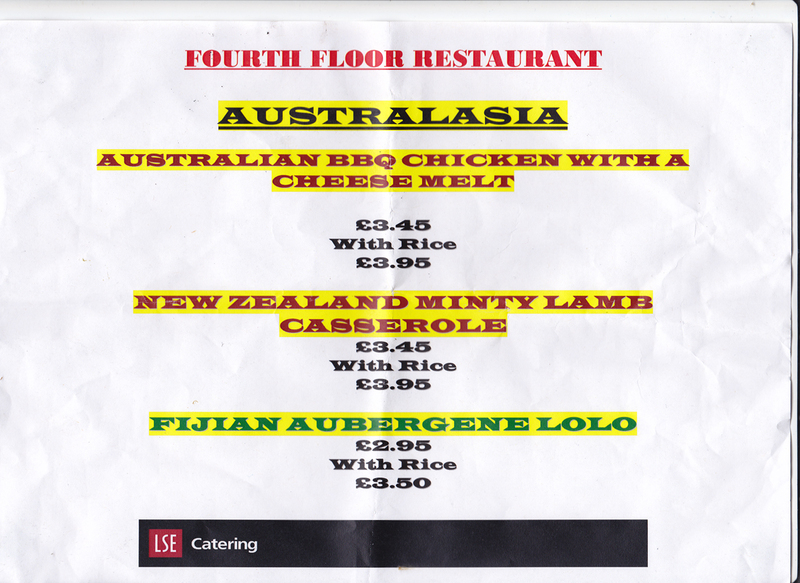 Cheap world scran at the LSE! Found this today after purchasing a £1.30 bacon roll from Wright’s bar next door after queueing for 5 mins. 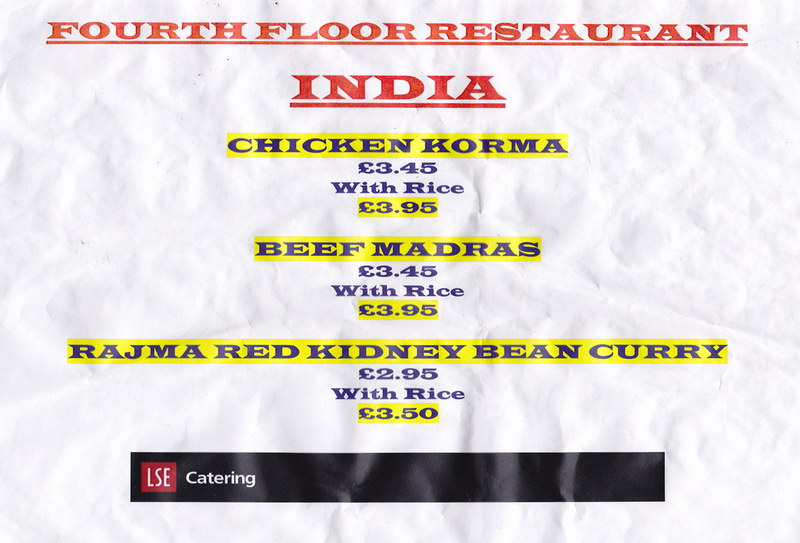 Cheap eats in Central London, rare to say the least! Heard this track on the replay of this week’s excellent Echo Chamber on KFAI. A big shout to Dr Strangedub and DJ Baby Swiss! Which reminded me of this youtube our good friend The Rhythm Doctor told us about a few months ago. Big up Rhythm Doc and the No1 platform MC Carl! P.
This morning before work I popped by Covent Garden Tube Station fascinated by what I was told about the ghost of William Terris at the end of last week. I asked the two chaps on ticket duty if they knew anything about the ghost and if they had ever seen it. 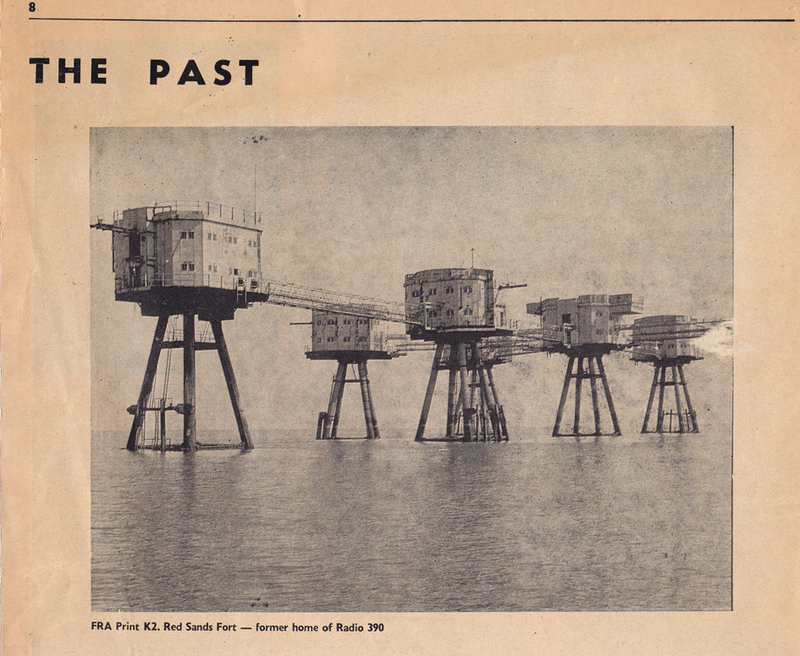 One told me a workmate (now sadly deceased) had an experience with Terris while he was on a late shift in the 1970’s. 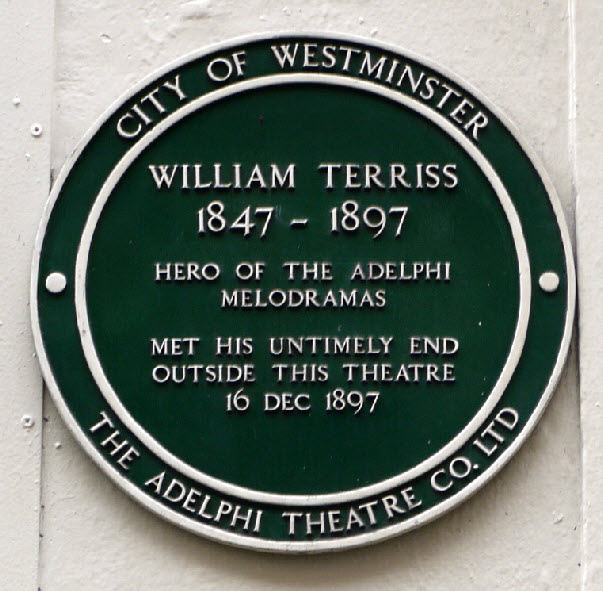 It is said that William Terris even though killed outside The Adelphi, visits the tube station to go to the bakery that used to exist there. The chap this morning added that Terris was supposedly having an affair with the lady owner. I don’t know if any of it is true or not but a bonkers story indeed. And all of this before 8.30am! 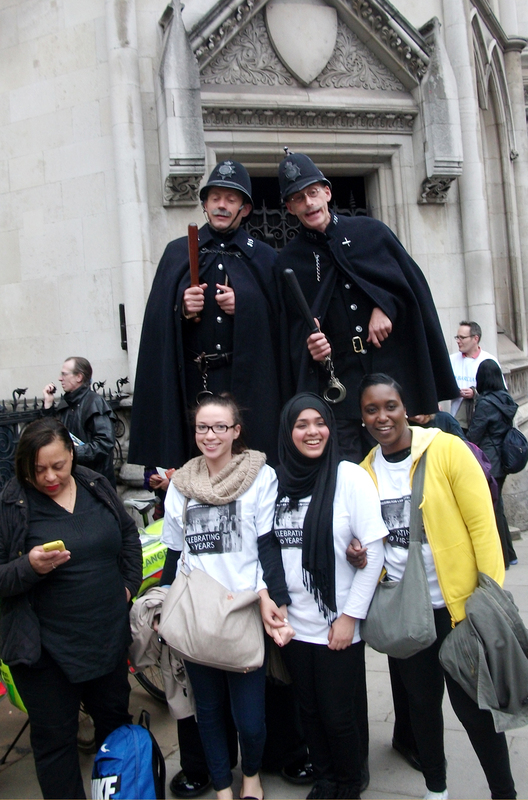 P.
Two very funny (and as camp as) coppers on stilts seen outside The Royal Courts of Justice in Fleet Street last night at the start of the London Legal Walk. P.